Last month it was annouced that director Edgar Wright’s The World’s End has finally got the green light, reuniting the director with Simon Pegg and Nick Frost. Now the Daily Mail has revealed that Rosamund Pike has joined the cast. This will be the final installment in Pegg, Frost and Wright’s Three Flavors Cornetto trilogy, folloing 2004’s Shaun of the Dead and 2007’s Hot Fuzz. The story revolves around five friends who reunite 20 years after an epic pub crawl, when one of the friends decides to recreate the event. However they soon realise that their goal of reaching the bar known as The World’s End is the last of their worries. It isn’t known what role Rosamund Pike will play. Edgar Wright is directing from a screenplay he co-wrote with Simon Pegg. Filming will begin next month in the UK. After years of teasing, the script is ready and Universal has given the greenlight to The World’s End, the movie that will reunite Simon Pegg, Nick Frost and director Edgar Wright. And to show it’s real (and as Comic-Con is on), a teaser poster has been revealed. The movie will start shooting in October. Actor Simon Pegg has closed a deal to star in the wordily titled Hector and the Search for Happiness, for Serendipity and Shall We Dance director Peter Chelsom, according to Variety. Tinker Lindsay and Chelsom are adapting the Francis Lelord novel, which centres on a London psychiatrist, who goes on a global quest when his patients can’t find happiness. It’s not certain exactly when the movie might shoot. For a couple years now Edgar Write and Simon Pegg have been teasing fans with hints about a film called The World’s End. We knew they were writing it, but there’s been precious little firm news. However now that the script is complete, it’s been revealed things are moving forward, with a September shoot planned and a release tentatively set for spring 2013. The film will conclude the Three Flavours Cornetto Trilogy (also known as the Blood and Ice Cream Trilogy), following Shaun Of The Dead and Hot Fuzz. Edgar Wright will once again direct Pegg and his longtime on-screen companion Nick Frost. Once Edgar Wright is finished with The World’s End, he will move directly into The Night Stalker, a big screen adaptation of the cult TV series, which is set to star Johnny Depp as Kolchak, a Chicago newspaper reporter who stumbles into stories based in the Supernatural. Tom Cruise hasn’t had a great run recently. Mission: Impossible II in 2006 was his last bona fide hit, so it’s not surprising that he was keen to return to the franchise in the hope of keeping his star shining. What’s perhaps more surprising is that it works, as this well be the best Mission yet. It may have taken them quite a while to get Star Trek 2 sorted, but things finally seem to be moving forwards on the movie, with JJ Abrams once more at the helm. Now it appears Abrams has decided who he wants as the villain, as Variety reports he’s met Benicio Del Toro about the role. A formal offer has not been made to the actor, but Abrams and Del Toro have had a meeting and it is believed Paramount will issue the offer very soon. Abrams, who’s well known for being secretive, is said to be being so cagey about the villainous part, he wouldn’t even tell Benicio what it was when they met. Shooting is scheduled to start in early 2012, with Chris Pine, Zachary Quinto, Zoe Saldana, Karl Urban, Simon Pegg, John Cho, and Anton Yelchin all expected to return. 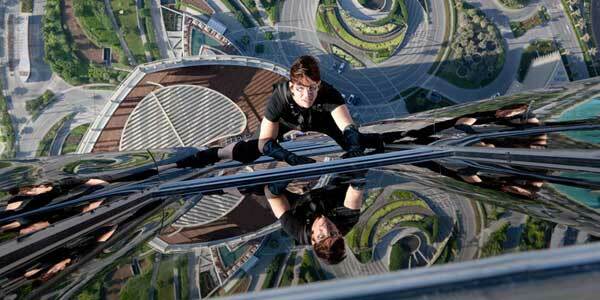 Did Tom Cruise blow up the Kremlin? 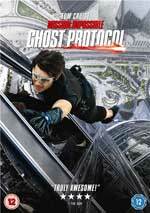 I wouldn’t put it past him, but in Mission: Impossible – Ghost Protocol, he’s back as Ethan Hunt, and he and three other IMF members are framed for blowing up a big chunk of Moscow, and must go rogue in order to prove their innocence! As this trailer shows, it’s all action and Tom Cruise doing his stupid and much mocked running, and at least this admits there are other people in the movie than Cruise! The film’s out in the UK on December 26th.